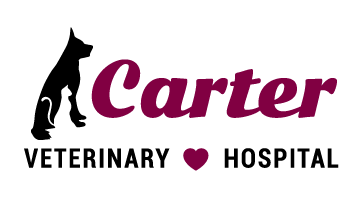 Carter Veterinary Hospital welcomes you! Welcome to Carter Veterinary Hospital! Our team of veterinarians, Dr. Linda Carter, and Dr. Lindsay Freeburn are here to take care of your pet's every need. Carter Veterinary Hospital is a new clinic in Bowmanville, and hopes to become well established in the community. Dogs, cats, and exotics are all welcome! We would love for you to come by and take a tour, or take a virtual tour on our website. Carter Veterinary Hospital is well equipped to perform a wide range of surgeries. We have a digital x-ray which provides quality imaging for diagnosing our patients. We are also set up with a laboratory so we can run out of house diagnostics. Our unique building helps your pet feel more at ease as if they were in their own home. Our feline exam room has a cat climber for your kitty to relax until the doctor begins the examination. Our canine exam room is more spacious and has a comfortable cushion for our larger dogs to sit on while being examined. The clinic is styled very much like a home so you and your pet feel comfortable. Are you the owner of Carter Veterinary Hospital?